8Rental is a young and a fast-developing passenger’s transportation supplier. 8Rental’s goal is to ensure trustable relationships between passengers & drivers. Customers may choose every direction & after several minutes will be in the needed location. An offer includes fuel, paid toll roads, taxation, sober chauffeur, hired vehicle by chosen category. 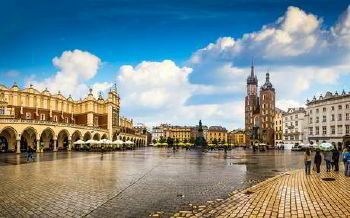 Hire a car with driver in Krakow & discover all benefits with 8Rental. Hire chauffeured driven car or rent a car with driver in Krakow and acquire unforgettable emotions, memories & experience. Carefully selected personnel, including drivers, makes 8Rental’s company resistant to different levels of complexity. The driver license is checked every time before hiring at work. 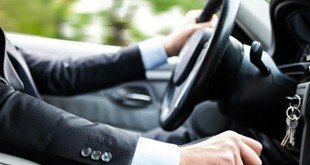 Chauffeurs must be qualified, experienced & by attractive appearance. Ford Mondeo, Toyota Camry, Volkswagen Passat or similar class car. If there were ever a Polish neighborhood that needed no introduction, it’s this one. Made famous as one of the first ever urban UNESCO World Heritage Sites, the Old Town is a maze of cobbled lanes and alleys, full streets with historical merchant houses lining the pavements, and – most importantly – sprawling squares where medieval churches and trading houses still loom above the flagstones. There’s nowhere that sums up the grand history and culture of Poland’s past better. The south of the Old Town is a place of crumbling plaster and exposed brick, fusing the industrial and the Gothic, with both synagogues and artisan beer houses, it’s a veritable hub of local life. It’s also got one hefty nightlife scene with all-night drinking joints and more vodka bars than you can shake an empty shot glass at! Don't hesitate, pay a visit to this city and explore it by traveling around in a rented car with a driver!